If you asked Anne Foster how her daughter Suzanna sounded the first time she took the mic at SawTown Tavern, she wouldn’t know. Anne called the bar earlier that day to make sure it would be OK to bring her 16-year-old there to warble out a few notes at the open mic – they received a couple of side eyes once they arrived at the dimly lit Tacony watering hole, but decided to stay and sing. Anne had seen her daughter perform before – she mustered the courage to share her voice in front of others when she was 11, and expanded her audience to families of hospital patients and passersby to Sam Ash Music Store since. But shortly after Suzanna dug into Listen by Beyoncé, a man approached Anne. He was Jim Lopardo, owner of Sandbox Music Group, and he was interested in signing Suzanna to his studio before she’d even finished her set. “She got up and sang, and the entire bar just got so quiet,” Anne said. Lopardo said the bar owner, who was upstairs and not even in the bar at the time, sent him a text urging him to talk to whoever’s voice he was hearing from upstairs. “I first went to SawTown in November  and was signed in January,” said the singer, who goes by the name Su Z on stage. Barely over a year after being signed, the teen is gearing up to release her debut album, titled Sixteen after the age she was when she first started working on it. The album, which contains six original songs and an Aretha Franklin cover, will show off the untrained singer’s voice that scales roughly two and a half octaves. 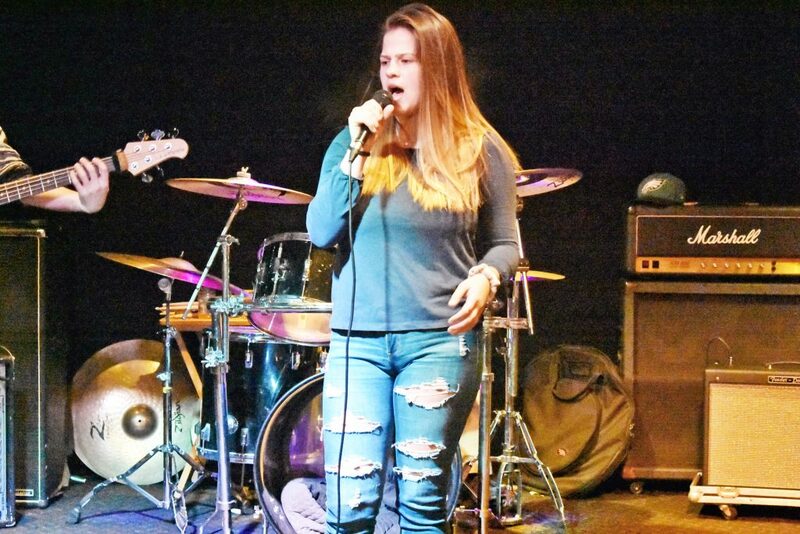 In a set performed exclusively for the Northeast Times, the singer, fronting a full band of a guitar, bass, drum set and keyboard, tore through Aretha’s song before moving on to more age-appropriate lyrics written by herself. In Cloud Nine, the young singer thankfully reflects on the happiness she’s found for herself. “What if I closed my eyes, took a breath and learned to fly, just let go and believed,” she sings, before crooning up to a big chorus that soars higher than the clouds she’s singing about. On My Hero, her favorite cut on the album, she sings about love and needing a hero after loss. The song began as a dedication to her brother Patrick, who passed away from cancer at age 11, when she was 6. “It’s kind of about him and it’s also about, because I lost him, now I need a hero,” she said. When Lopardo approached Anne at SawTown about signing, her first reaction was the family had no money to support the endeavor. “We have a large family and it’s hard enough to make ends meet as it is,” said Su Z’s father, Dan. Su Z has eight siblings, including Patrick. She had never taken formal music classes, so working in a studio with a band was a new experience – before, she would just try out different notes and rhythms aloud until she found something that stuck, and the only place her lyrics were documented was in her head. “If you handed me a piece of sheet music I wouldn’t be able to read it,” she said. Some of the tracks had previously been written just for vocals and piano, so the band – Paul Deluca on drums, Clint Reid Davis on guitars and trumpet, Ned O’Byrne on keyboards and guitars and Nathaniel Wershulz on bass and keyboards – worked on adapting them into bigger, instrument-laden tunes. The album’s core message is about the confidence the singer has gained since she started singing for audiences. When she was younger, Anne would record audio of her singing in her room and share it with her friends, much to Su Z’s annoyance. Su Z and the band are launching directly into working on the next album after the debut releases. They will also focus on booking gigs like music festivals to help spread the music. “She has the best voice I’ve had singing in front of me,” Lopardo said. 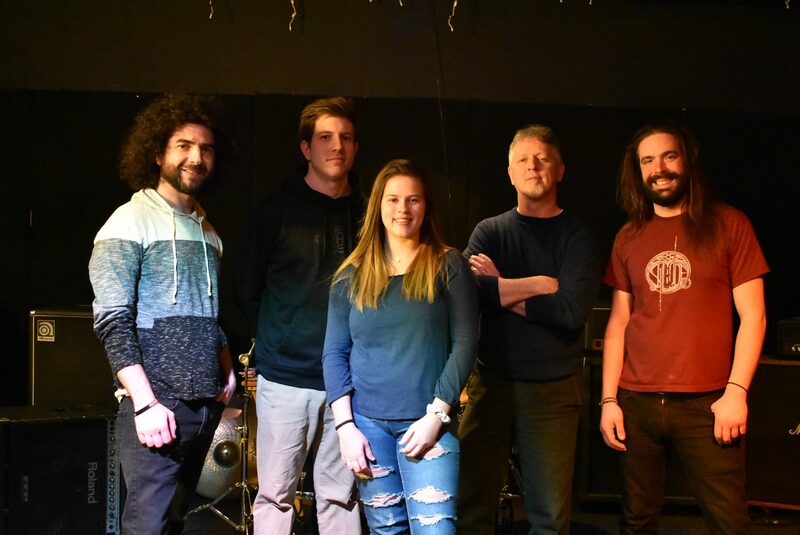 SandBox Music will host an album release party at SawTown Tavern Feb. 1 at 8 p.m., when she and the band will perform tracks from the album live.